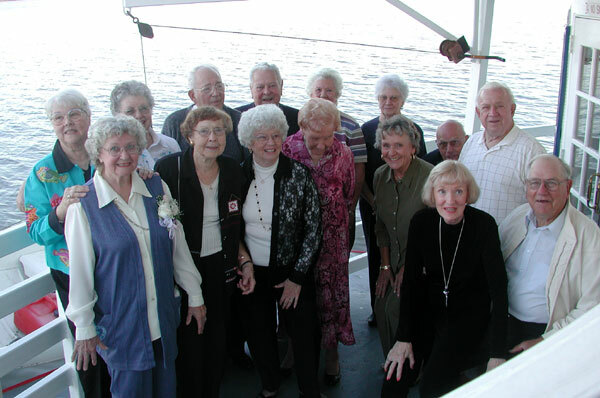 The Minonk High School class of 1943 held their class reunion aboard the “Spirit of Peoria River Boat” September 19, 2003. Below is a class picture taken aboard the boat. I couldn’t find any contact information and therefore did not ask for permission to publish this article here on this site. Should anyone feel this article should be removed, please let me know.